Happy Monday! I spend last week in Columbus with two days in the negatives and a couple days after that in 5 inches of snow. Needless to say it was a full on winter week where we stayed bundled up and had a little sledding fun. We have a much deserved warm couple days happening right now and I have never been so ready to take an outdoor run. Spring is at the end of the tunnel which means outdoor runs will be back in full swing. 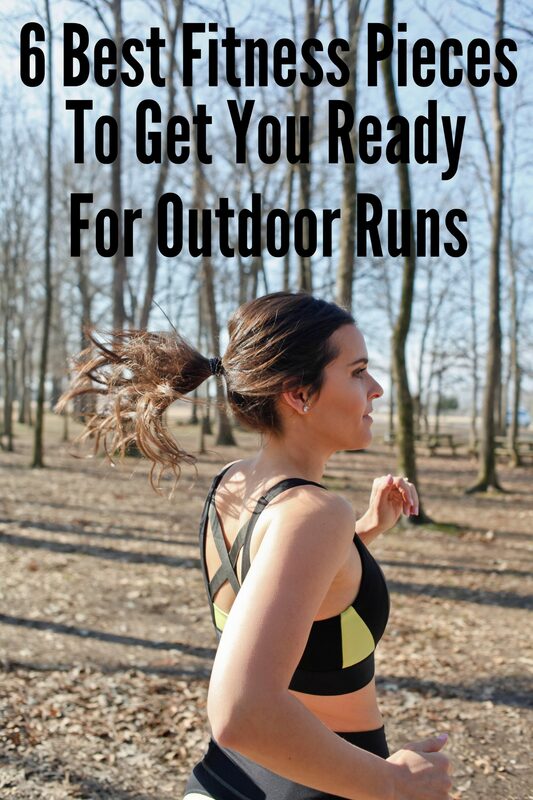 I’ve rounded up a few things to get you ready for your outdoor runs. Time to let your legs breath. I have never been comfortable running in shorts because they tend to ride up and cause my thighs to chaf. Cropped leggings are the perfect pant for your outdoor runs. Any female knows the importance of a supportive sports bra. I have sports bras for yoga and barre workouts and different bras for running and HIIT workouts. For running you need bras to be extra supportive to keep the girls in place. Some things to keep in mind while bra shopping is support, breathability, comfort, fit and style. If you plan on running long distances I recommend getting fitted for the best shoe for your foot. Prior to training for my first half marathon I was fitted in these shoes which I love, I wear them anytime I plan on running more than 3 miles. Layers are a great way to regulate your body temperature. Post run sweat plus cloud coverage and a light breeze can bring on the chills. Keep a light weight jacket or top around your waist for when you need to throw on a layer. Not any sunscreen will work during outdoor exercise. Make sure you get a sweat-proof option to keep your skin protected from start to finish. Don’t forget to add a little SPF on your lips! When the sun is blaring down the only thing to make it easier on your run is adding a hat or visor. This will keep you from squinting and will help protect your face from the sun. If only we could find some woods to run in on sunny days.